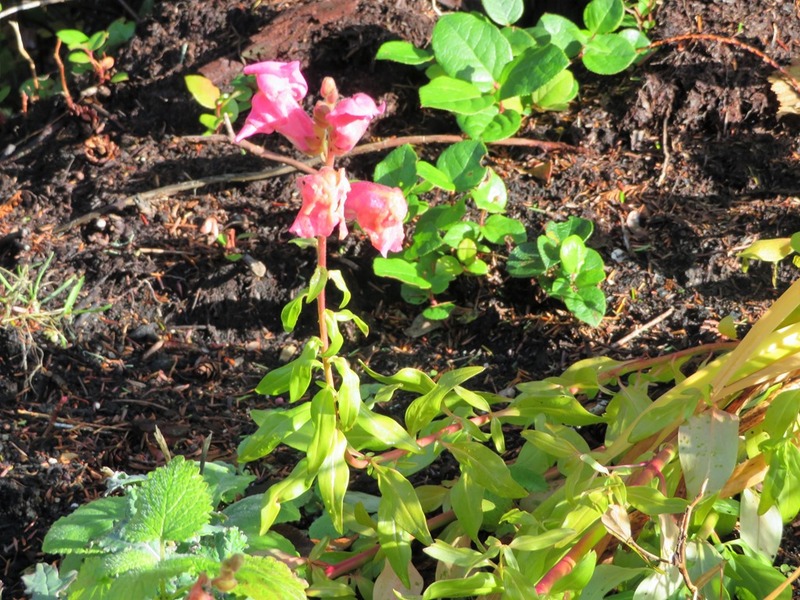 A hearty little snapdragon that is still blooming on Dec. 1st! 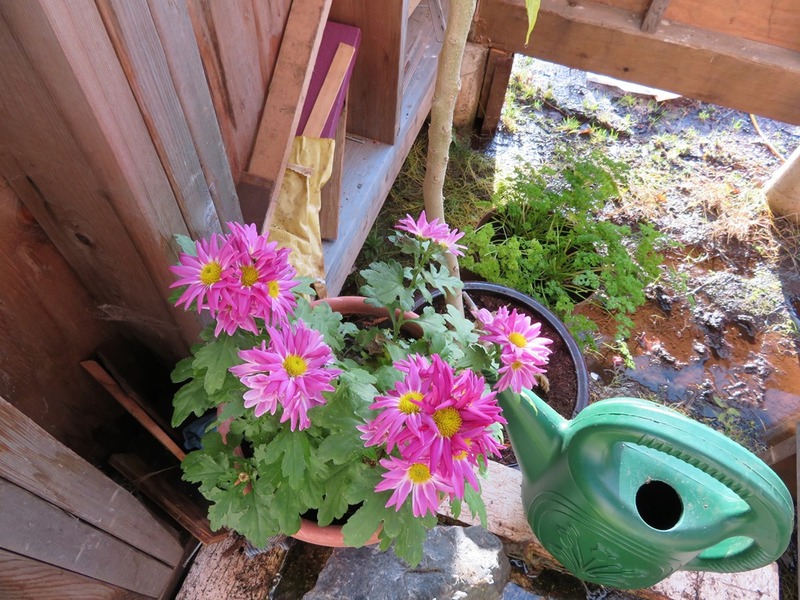 Flower Friday! Home from our travels to Alberta to find that we still have hints of colour poking up here and there. Love the North Island. 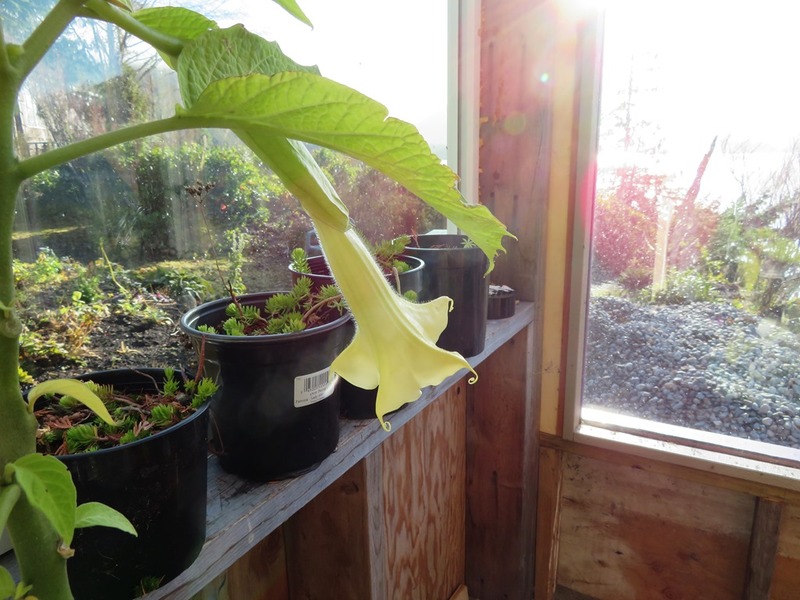 A lonely Angel’s Trumpet in the green house along with a vibrant chrysanthemum. This entry was posted in Gardening, Photography, Quotes and tagged #flowerfriday, Angel's Trumpet, Chysanthemum, late fall flowers, Northern Vancouver Island, Snapdragon. We still have quite a few flowers here too in Western Washington. Isn’t it nice to come back from a vacation all enthusiastic about getting back to work?